In the beginning, Paddington Station served as a GWR temporary terminus. It was opened in 1838 and it was located to the west of Bishop’s Bridge Road. It was the first station in the area. The initial service handled by Great Western Railway and Paddington Station was between Taplow and London. It was introduced in 1838. The main station was opened in 1854 and the former building was transformed into a goods depot. The main station was placed between Praed Street and Bishops Bridge Road and its design appertains to Brunel. Later, the architect was commemorated through a statue located in the station concourse. Currently, the statue is situated on Platform 1, near the former taxi rank. When it came to the architectural work, Brunel was helped by Matthew Digby Wyatt, who performed much of the detailing. The new Paddington Station was officially opened in 1854. The structure featured a glazed roof with 3 spans and wrought iron arches. The 3 spans were connected via 2 transepts. The roof measured 699 ft. in length. There are various transport services leading to Paddington Station. You can take the train, the car or you can make use of a taxi from Stansted Airport to the famous station. Check the options below. In order to get rail transport from London Stansted Airport to London Paddington Station, you have to take the train to Liverpool Street Underground and then take the Underground Service to Paddington. This is 3 minutes away from London Paddington Station. 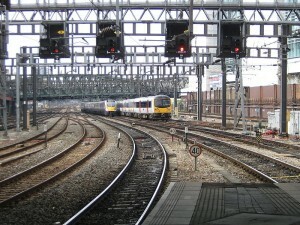 There are also other transfer options such as using a taxi service from London Stansted Airport or Liverpool Street Underground to London Paddington Station. So as to travel by car from London Stansted Airport to London Paddington Station, you must use the M11 motorway. London Stansted Airport is 44.5 miles away from London Paddington Station. A Stansted Taxi to London Paddington Station with 247 Stansted Airport Transfer is going to last almost 1 hour and 35 minutes. The price for London Stansted Taxi to Paddington Station starts from 58 GBP.